Open to Corporate Houses, Large, Medium, Small individual , promotional, agencies of Governments and Educational Institutions. A registered society formed voluntarily by Engineers, Executives, Entrepreneurs & others who had their Training with Japanese companies, through ABK, AOTS, Japan Foundation, JICA, with clear focus to work as a Bridge between Japan and India in all spheres. We are one of the 70 AOTS Alumni in 42 Countries. We are one of the 9 AOTS Alumni Associations in India. Our ABK-AOTS DOSOKAI Center is the oldest Japanese language school in south India having a history of more than 40 + years. We are also the coordinator of JLPT annual examination in Chennai Tamil Nadu. We also provide Japanese language advisor for all the leading companies in south India and also provide Japan language interpretation and translation services. 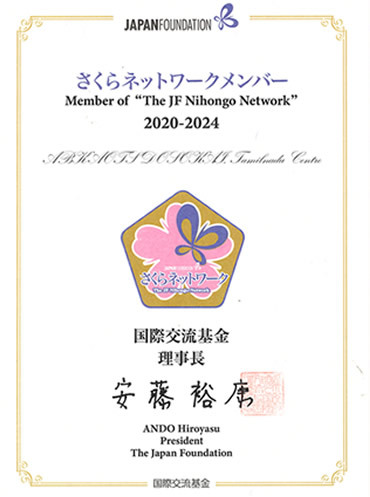 We are member and part of Japan Foundation Network. The AOTS ALUMNI “5S” FORUM OF INDIA was created by our Alumni to serve as a Certifying body for the Industries, companies the have the best 5S Practices. 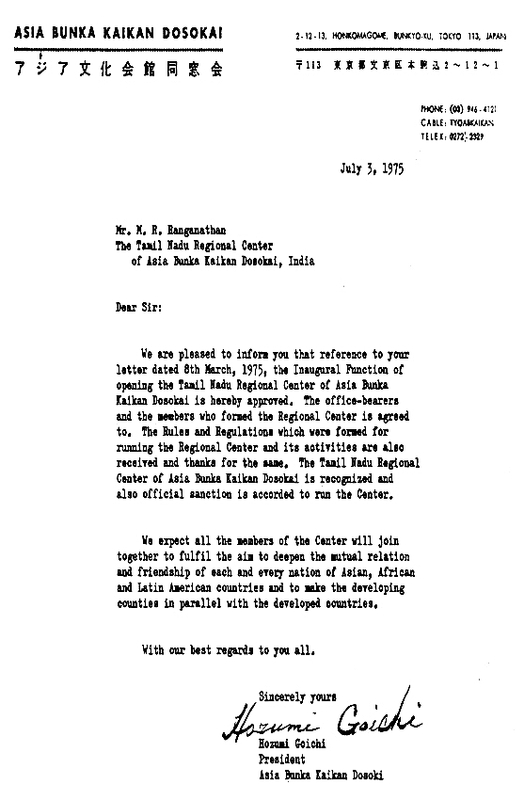 The TAMILNADU CHAMBER OF NIPPON INDIA TRADE AND INDUSTRY (TACNITI) was also started by us as a separate entity to serve Trade, Industry and Commerce as a Chamber between Japan and India. We are located in the heart of the city with in 2 Kms from Nungambakkam Railway Station and with in 1 Km from the main Poonamalee High Road. With Plenty of Parking we have 10,000 Square Feet of our own space with 10 Class Rooms, one Seminar Hall and an Auditorium. We have a very committed, 13 dedicated staff and 400 members. We have great collections of Japanese study material and av room with all 20TB of learning materials open to all our students and members. We have an annual calendar of Cultural Events, which we carry out with the support of Consulate General of Japan in Chennai and Japan Foundation. Our Japanese School is by far the biggest operating from Chennai, Coimbatore and Pondicherry. We have nearly 800 + students, 35 + teachers, many of whom were trained in Japan by Japan Foundation. The Teachers in some of the Language Schools in Chennai were also once our students. Our Students are working in large numbers, in all the leading Software Companies, either as Language support Personnel or as Bilingual Engineers. We have Japan Trained Professional Engineers with more than 20 years of Industry experience, who have become Professional Trainers, who offer Industry related Training based on annual Calendar of Training Programmes. We also have a Japan Information Center and a Library. To function as a bridge between Japan and India in the areas of Linguistic, Technical, Cultural, Managerial Training. To promote the growth of Trade and Industry between Japan and India. To bring Japanese Language Learning to the people of Tamilnadu at affordable price. To bring the fine aspects of Japanese Culture to door steps of Tamilnadu. We want to keep up with our commitment to educate, inspire and empower people and business through Japanese language and culture in India. To remain as the top and leading destination for educating Japanese language and its cultures.